Kick-start your Christmas shopping with our festive fair! Beginning on Friday 23rd November, Redwings Aylsham will be hosting a festive Christmas Fair where visitors will be able to browse and buy from a range of beautiful decorations, cards and gifts – what better place to start your Christmas shopping?! All proceeds from the fair will go towards caring for the 1,500 rescued horses, ponies, donkeys and mules in our care. That means you’ll be giving our residents an extra festive treat this Christmas, too! You can find the full details of the Christmas Fair here. While you’re visiting, take a stroll around the paddocks to meet some of our delightful rescued residents, including donkey duo Wiggins and Wacko and handsome Adoption Star Gulliver, before enjoying a hot drink and a tasty treat in the Nosebag Cafe. 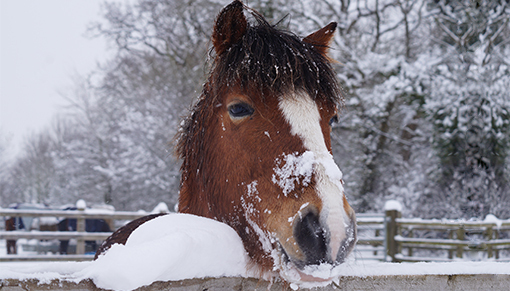 And if you’re still looking for that extra special gift for a friend or loved one, why not adopt a Redwings Adoption Star horse, pony or donkey for just £15 a year?! Every penny will go towards the daily care of your chosen Adoption Star and their friends. Click here for more details. The Christmas Fair will run at Redwings Aylsham, just north of Norwich, from Friday 23rd November until Christmas Eve during centre opening times – every Friday, Saturday, Sunday and Monday, 10am to 4pm (closed Tuesdays, Wednesdays and Thursdays). Merry Christmas all, and happy shopping!